We're just back from a week camping in Dorset and we had a fantastic time. We were so lucky with the weather and we were on the beach most days and even I swam in the sea! I was reminded of some cupcakes I made last year to say thank you to the leaders at a cub pack. Before we went though, I had a lot of orders to get out. Firstly, a cake for a F1 and Moto GP fan, modelling a motorbike from fondant was quite a challenge, but I got there in the end! The full cake can be seen in the Sports & hobbies gallery, but here is a close up of the models. I made a cake last August which I adore, but the making of it is quite taxing, so I was pleased and nervous about getting an order and making it again. Each rose is hand made and there are approx 215 needed, this isn't too bad as they can be done in advance. 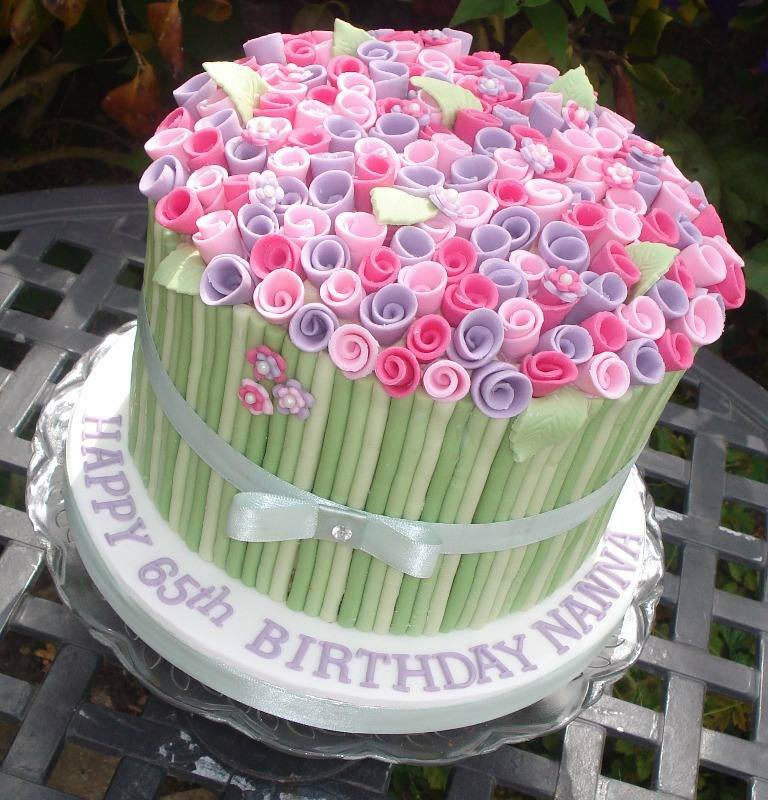 The most time consuming aspect is the stems, each one is extruded and cut to size before being carefully placed on the cake, ensuring they are straight! This was 3 layers of vanilla sponge with jam and buttercream. 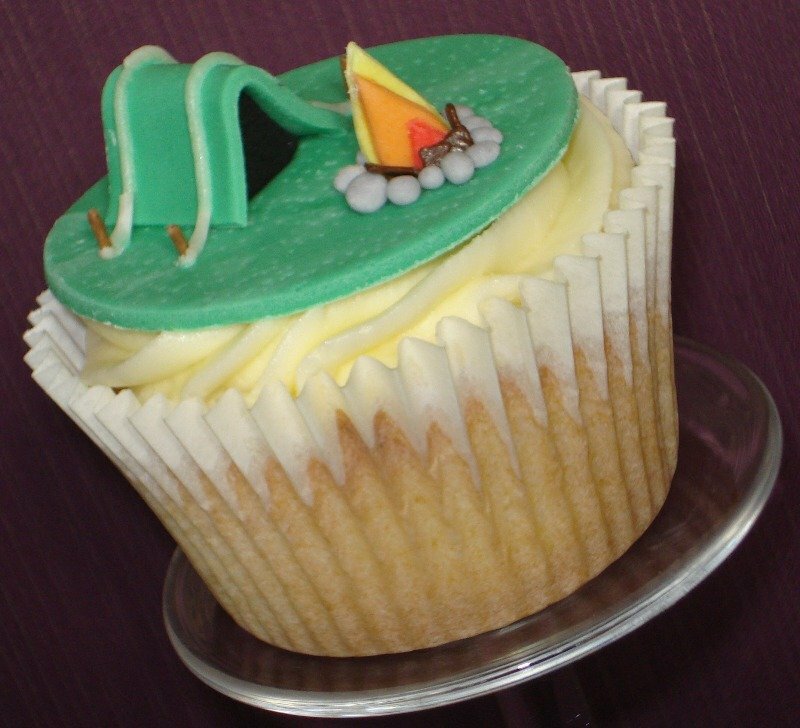 This design works best with taller cakes, so it was very deep! 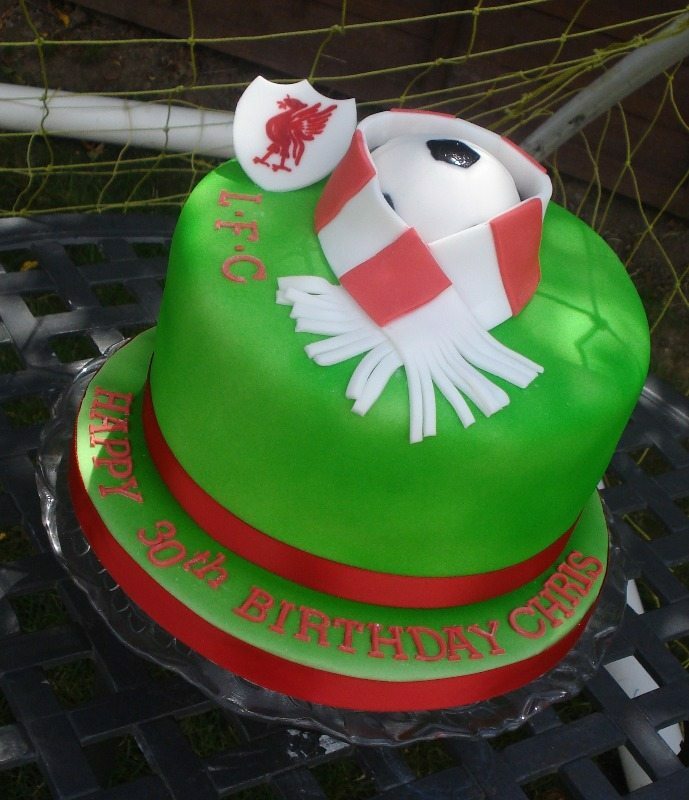 The last cake that went out before our holiday was a Liverpool FC cake. It still amazes me (& I've probably mentioned before) that for a North Somerset/Bristol based cake maker, I've only had one order for a Bristol Rovers cake and one order for a Bristol City cake, yet I have done loads of Liverpool, Tottenham & Chelsea (I'm also suprised not to have done a Man Utd one!). Anyway, I hand painted the emblem and the football itself was a giant cake pop. This was the first time I've used my airbrush in ages too, so it was nice to use that again! So now, I'm back to it. I've broken the back of the washing pile, I have a rich fruit cake in the oven and I have some prep to do for a 70th cake this weekend. I also have a wedding consult this weekend, which is always exciting!